Looking for a new home thats one step above the ordinary? Well, look no further than this unique, Tri-level 3 Bed, 2 Bath beauty. On the Main level are the Living room, Kitchen & Dining Room, all nestled under a picturesque vaulted ceiling. The kitchen has been updated with newer cabinets & appliances, & the laminate wood floors in the adjoining living room & dining room add a touch of serenity & comfort. The upper level contains the Master Bedroom complete with an adjoining Master Bath, comprised of an updated vanity, a walk-in shower, a jetted tub ideal for soaking & relaxing away the cares of the day. Also on this level are the two remaining bedrooms, the 2nd bath, & remodeled laundry room. Moving to the lower level you will find a spacious family room complete with built in wall shelving & office center. The wood flooring also adds to the feeling of relaxation & contentment. 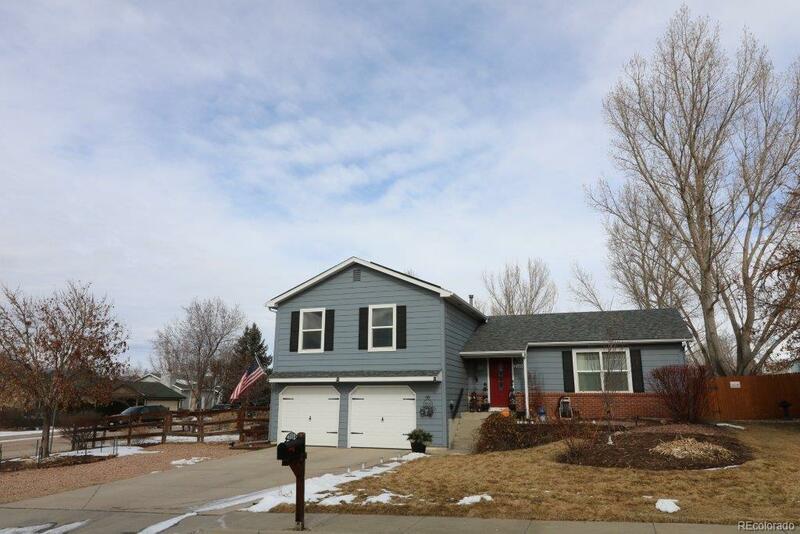 Outside, there is a great fenced yard on a corner lot - Great for Entertaining!!! Offered by Merit Co Inc.